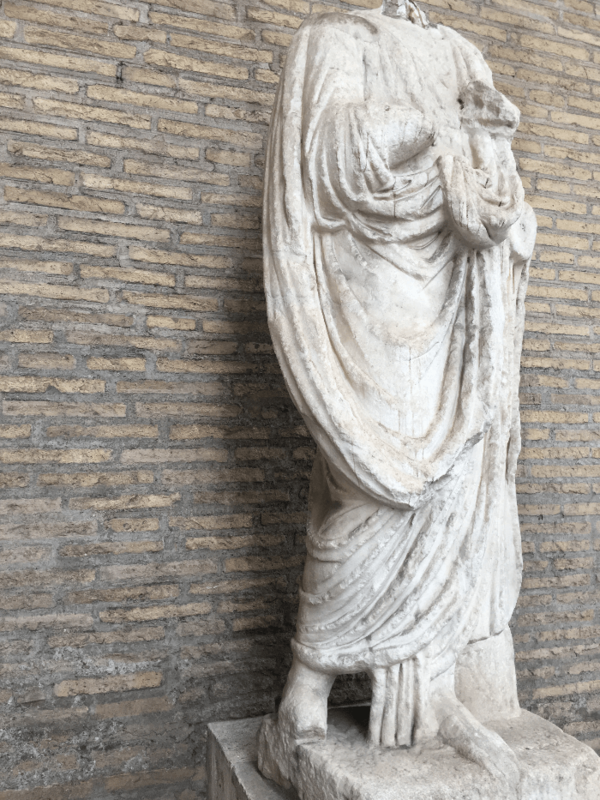 When a Roman Statue Has Something to Say…. I have shared with y’all that Rome is one of my favorite cities on earth! Having just completed my eighth trip there in the past ten years, I always find something new and fascinating to learn, especially when it comes to Roman Sculpture! And what I learned this trip…cracked me up! 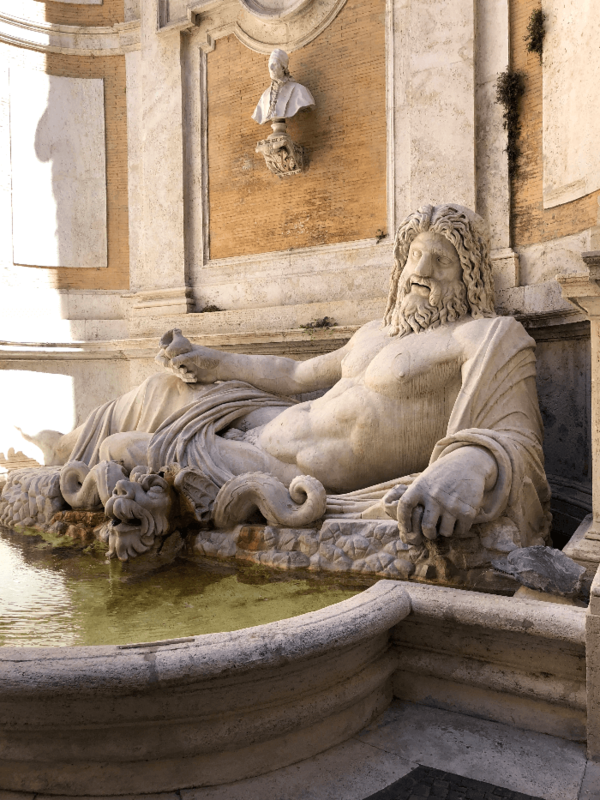 Turns out, a statue I walked by multiple times a day during a trip I discussed in this post, is none other than one of the famous Talking Statues of Rome. Let me make some introductions! The Talking Statues of Rome are probably one of Rome’s most overlooked curiosities among Roman Sculpture. They have a remarkable history, yet are often ignored by tourists and passersby, including me! The Talking Statues got their name in the 16th Century. Romans made them ‘talk’ by attaching caustic and satirical messages to their pedestal as a form of anonymous protest against the authorities. The statues were a kind of informal representatives of the people of Rome at a time when ordinary people were not formally allowed to express protest or criticism in public. Like those funny Meme accounts on Instagram that say what we are all thinking, but not brave enough to say it ourselves….but I digress. Rome counts six talking statues. The statue of Pasquino was discovered in the Piazza Navona, but in such a sad and worn state that nobody cared to own it. So, it was placed at the corner of Palazzo Orsini – demolished in 1791 and replaced by Palazzo Braschi – and still stands there today. 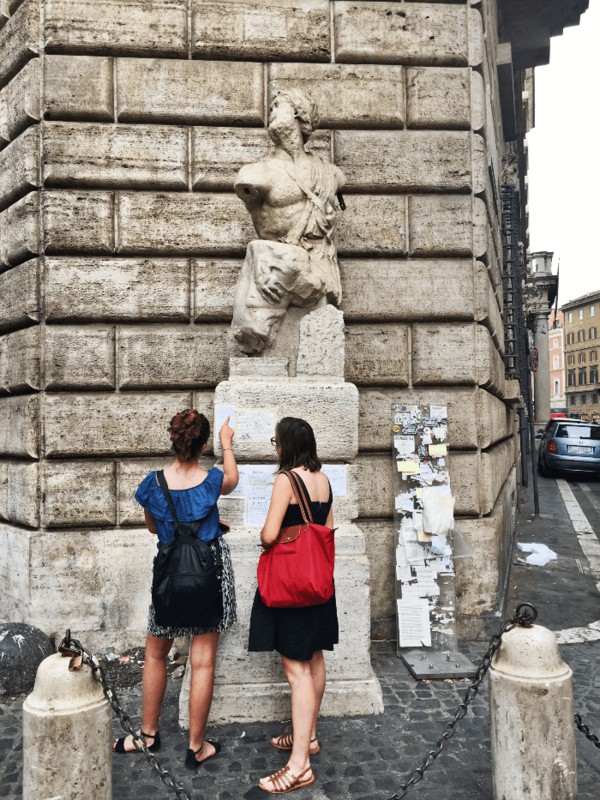 The tradition of posting these anonymous notes to the statues started in 1501 when Cardinal Oliviero Carafa organized a sort of Latin literary competition where poems were posted on the Pasquino statue. What we see today is actually a fragment of a statue that originally belonged to a group of statues, dating back to the 3 C. BC, representing Menelaus holding the body of Patroclus dying. The statue (and the square) were later nicknamed ‘Pasquino’, after a tailor with a particularly witty sense of humor who was known to be very eloquent with his criticism of the papal government and lived in the neighborhood. Pretty sure I would have wanted to hang out with that dude!! Il Facchino was originally located on Via del Corso, and in 1874 it was moved to its current position in Via Lata, on a side façade of the same building, to protect it from pollution. Created in 1580, it is the youngest of the Talking Statues, as it is a mere 432 years old, while the other talking statues date from Ancient Rome. 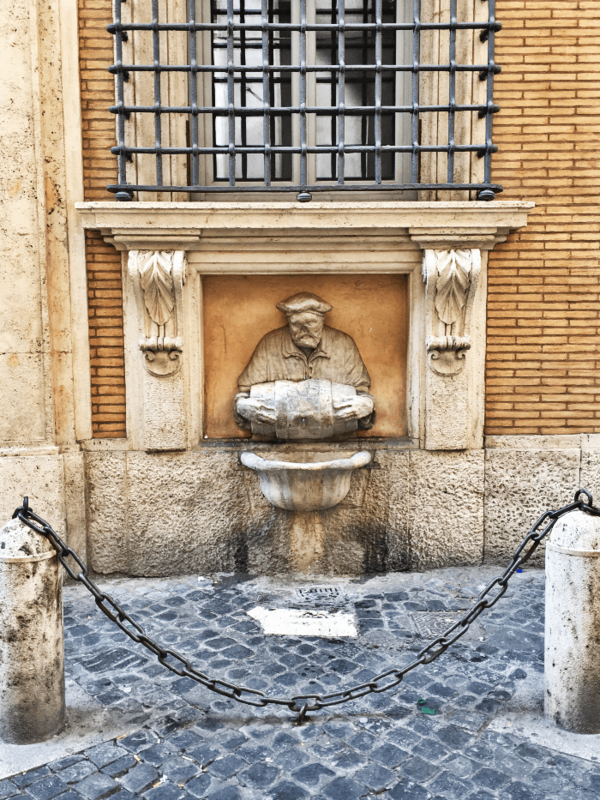 The statue depicts an acquarolo, a door-to-door water salesman, who would take water from the Tiber and sell it at a time when the Roman aqueducts were under repair and the city’s fountains were dry. 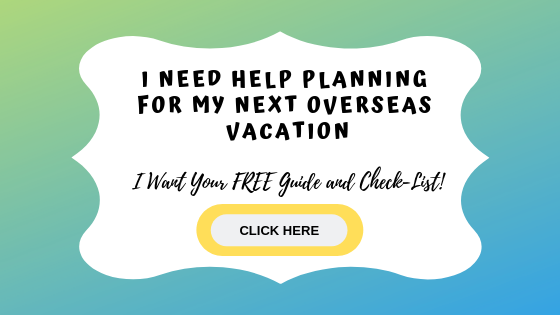 By the way….if you are headed overseas and need help making a plan, I have a FREE Guide and Check List for International Travel that is helpful…and FREE. Just click on the image below to get your copy! 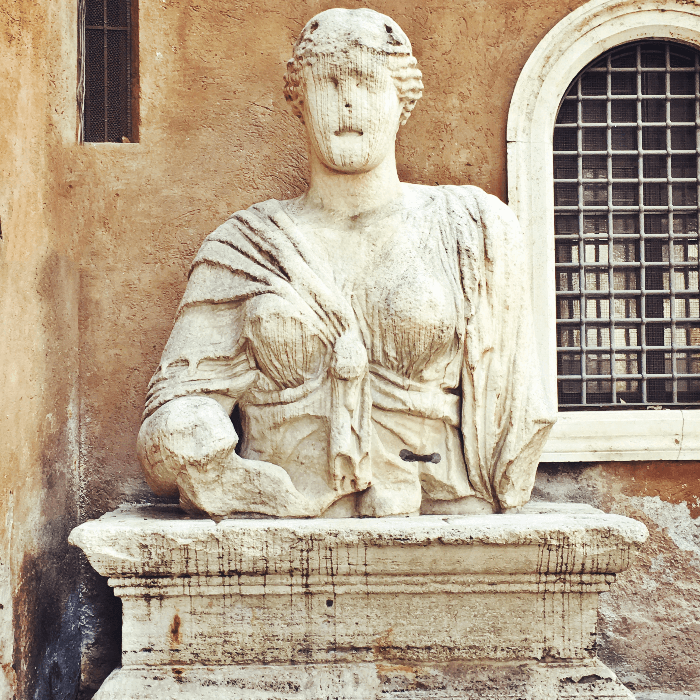 The statue of Madama Lucrezia, the only female talking statue of Rome. Originally, the statue may have been part of the Temple of Isis. You go girl! So, I’m thinking there was some defamation of this statue…I have seen pictures of Abbot Luigi, complete with a head. When I found this statue, it was behind scaffolding, and absent a head….so perhaps there is a restoration being planned??? Sure hope so! In this post, I discussed the museum where you can see Marforio. Other interesting info: Occasionally poems were also posted outside the competition period, as the Talking Statues were a very effective way to criticize the papacy during a time when the free press did not exist. Especially during the conclaves to elect the new Pope, the tradition was very popular. The anonymous authors of the poems were often very close to the pope and had direct knowledge of confidential information. One of the most famous poems is probably the one dedicated to Urban VIII Barberini (1623-1644), the pope who allowed the use of the bronze decorations of the Pantheon for the canopy of San Pietro in Vatican. This is the talking statue I ignorantly walked by every day! 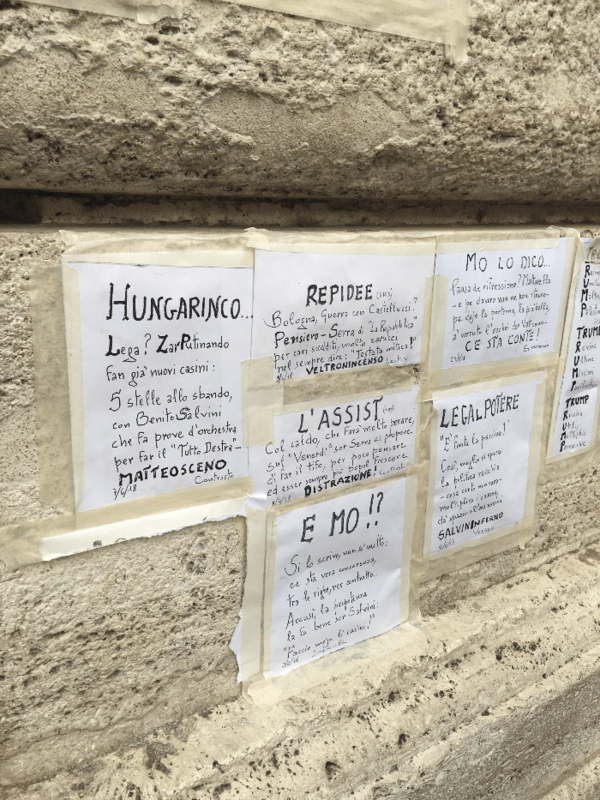 The custom of posting poems or notes spread to other statues when authorities posted guards by the Pasquino to prevent people from posting notes. 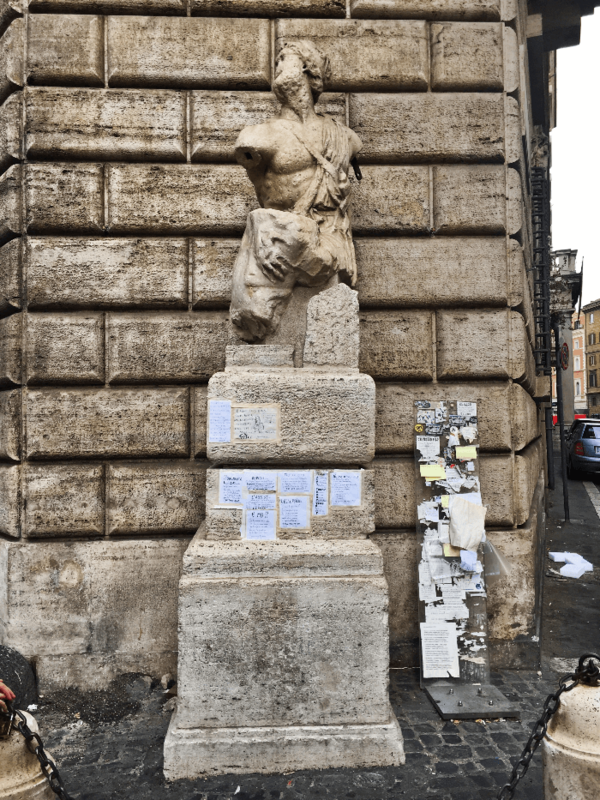 These other statues, especially Marforio and Madame Lucrezia, were sometimes also used to post responses to writings posted on Pasquino, creating an on-going dialogue from statue to statue. Sort of a “he said, she said” situation. One famous dialogue was posted in protest against Napoleon, who notoriously plundered many Italian cities of their artistic and archeological treasures after defeating them. Pasquino: Tutti no, ma BonaParte!Marforio: Is it true that all Frenchmen are thieves? 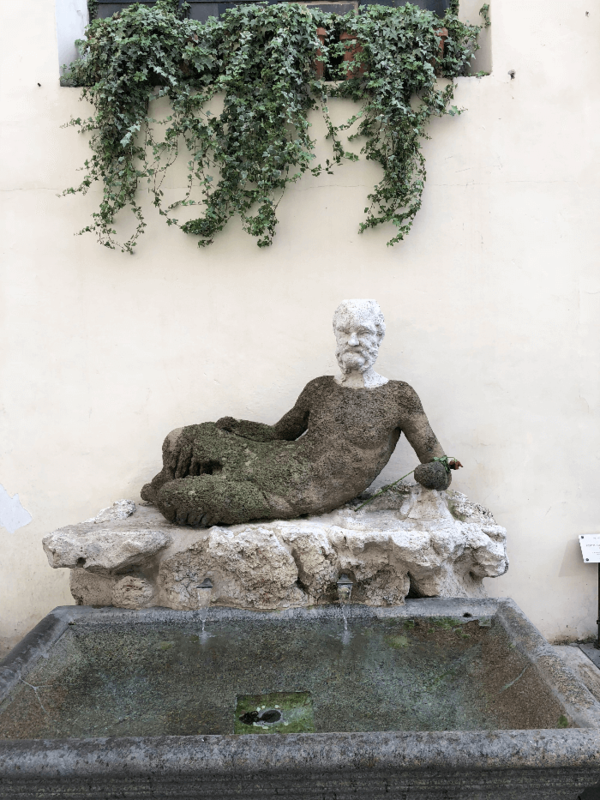 Pasquino: No, not all of them, but a Great Deal of them The tradition continues to the present day, with suggestions, witticisms and claims being posted to the statues. I hope you find the taking statues of Rome as interesting as I do! 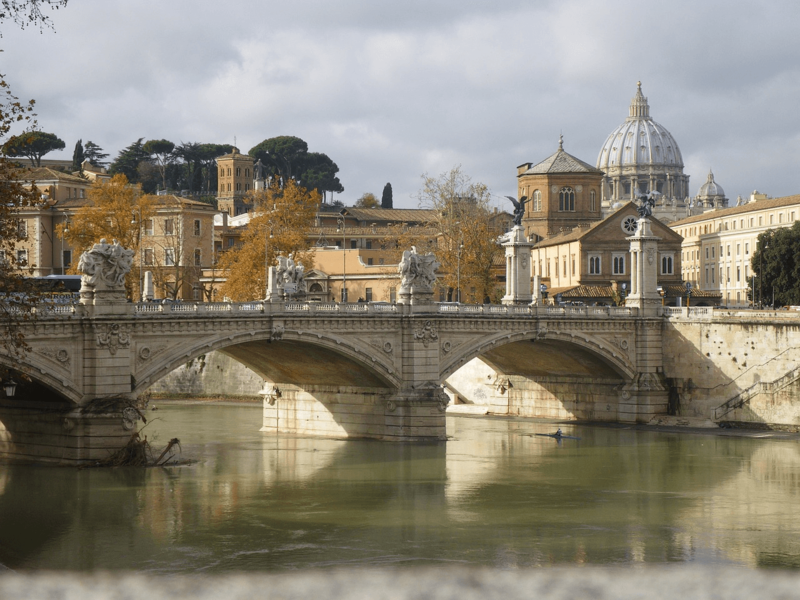 And, if you are planning a trip to Rome, and are interested in a private guide service who will help you learn so many interesting facts about Rome, please read this post!And, if I can help you plan an amazing trip to Rome, please email me! Ciao, y’all! I love these statues and the fascinating history behind them. I always enjoy running into them while out doing my thing in Roma!! Very interesting history behind all these statues. I haven’t visited Italy yet, but I hope to in the near future. Rome is magical!!!! Hope you can visit soon! That is super interesting! Never heard any of that before-think it’s time go to Rome! Indeed! Wouldn’t a couples trip be fun????!!! !